MIAMI BEACH - Bagatelle has finally brought its popular brunch to Miami, just in time for MMW. 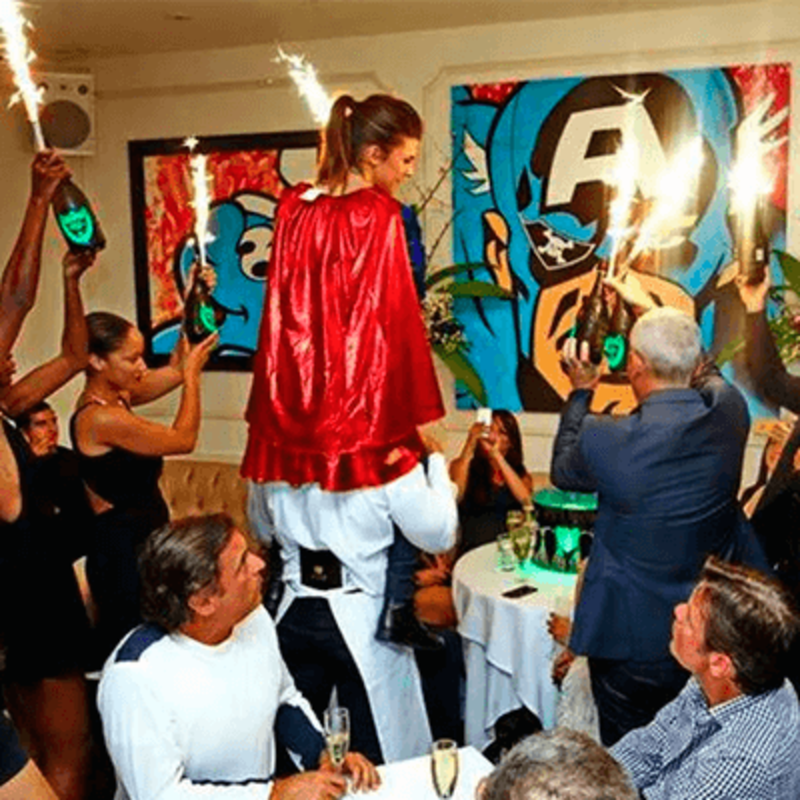 The much talked about brunch happens every Saturday and Sunday starting this weekend and features an "excess of seafood and champagne," table-top dancing, sparklers and a caped "Supergirl" serving magnum bottles of champagne. (You can't make this stuff up.) Book your reservation by calling 305-763-8330.